The next World Bank president should be selected based on merits, not on a decades-old informal agreement, a contender for the top bank position has argued. “We’re not asking the U.S. not to compete, we’re just asking for a level playing field where candidates can be evaluated on their merits,” Nigerian Finance Minister Ngozi Okonjo-Iweala said, according to Reuters. Okonjo-Iweala is one of three nominees to replace World Bank President Robert Zoellick, who is set to step down in June. The other two are former Colombian finance minister José Antonio Ocampo and Dartmouth College president Jim Yong Kim, who was nominated March 23 by U.S. President Barack Obama. Kim is most likely to get the post when the World Bank executive board makes its choice in April. A U.S. citizen has always held the position since 1944 as part of an informal agreement with European leaders, which have since then nominated one of their own to lead the International Monetary Fund. There has been mounting pressure for a change in the tradition, but the IMF top seat went to Christine Lagarde of France last year. “If you don’t, they will lose interest,” she adds. The Nigerian official also compared her credentials with Kim’s, highlighting her extensive knowledge of the bank and understanding of what developing countries need. Okonjo-Iweala served as managing director from 2007 to 2011, when she left the post to join President Goodluck Jonathan’s cabinet. “I know what its strengths are, its weaknesses and importantly I know what policymakers need. 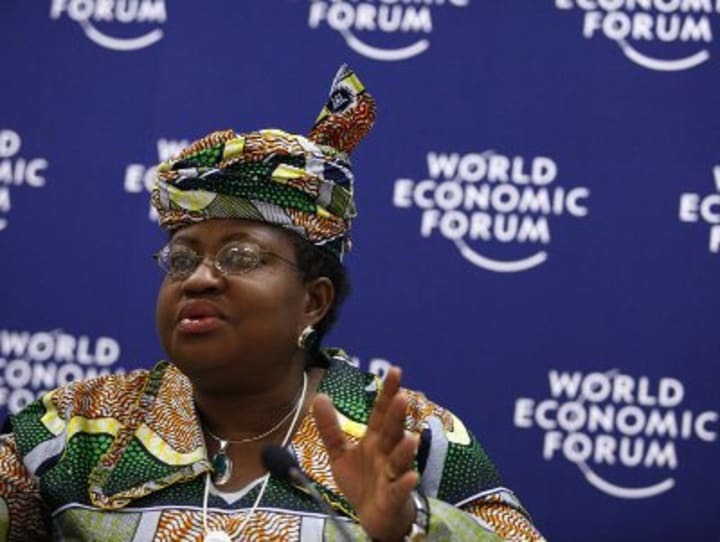 I’ve actually done it,” Okonjo-Iweala told Reuters.